Highlighting the inaugural event will be music and food reflective of the culture, opportunities to connect with British counterparts, family-friendly activities and more. A portion of ticket proceeds will benefit the Carea Community Health Centre, a non-profit organization providing free community health and wellness programs. Launched by a British expat who recognized a lack of events to meet peers as a new resident of Canada, founder Charlee Chiappa-Abibula saw an opportunity to celebrate and connect the country’s multi-cultural British residents. With the goal of creating a fun, energetic event, she has spent six months building a festival atmosphere for all generations, complete with food reminiscent of her native country, from Pipe Major Andrew Killick to British urban group British Man Dem (B.M.D.). “BRITFEST Canada promises to be a lively event that will provide British residents with a ‘back at home’ feeling,” said Chiappa-Abibula. “We’re merging the younger and older generations through a mix of music, food and atmosphere that will send them back to their British roots. In addition to the music, food and culture, representatives from Bright Immigration will also be in attendance to provide qualified immigration advice to interested event attendees seeking immigration consultations. Complimentary Nando’s Chicken will be given on the day to the first interested attendees while supplies last. 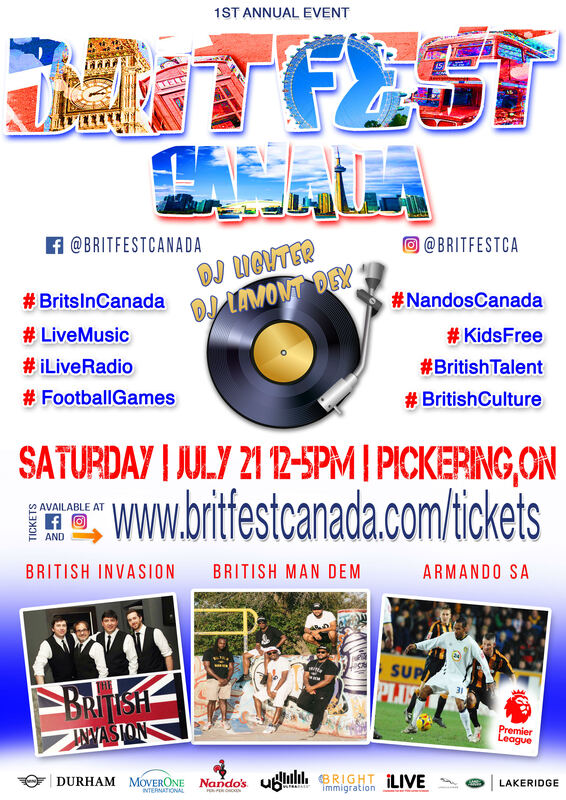 Early Bird tickets for BRITFEST Canada are $10 each and available through July 1. Children under 10 years old can attend free of charge. Tickets and additional details are available online, at https://britfestcanada.com/. Those interested in attending are encouraged to follow the event’s Facebook page at https://www.facebook.com/britfestcanada/ and Instagram at @britfestca. 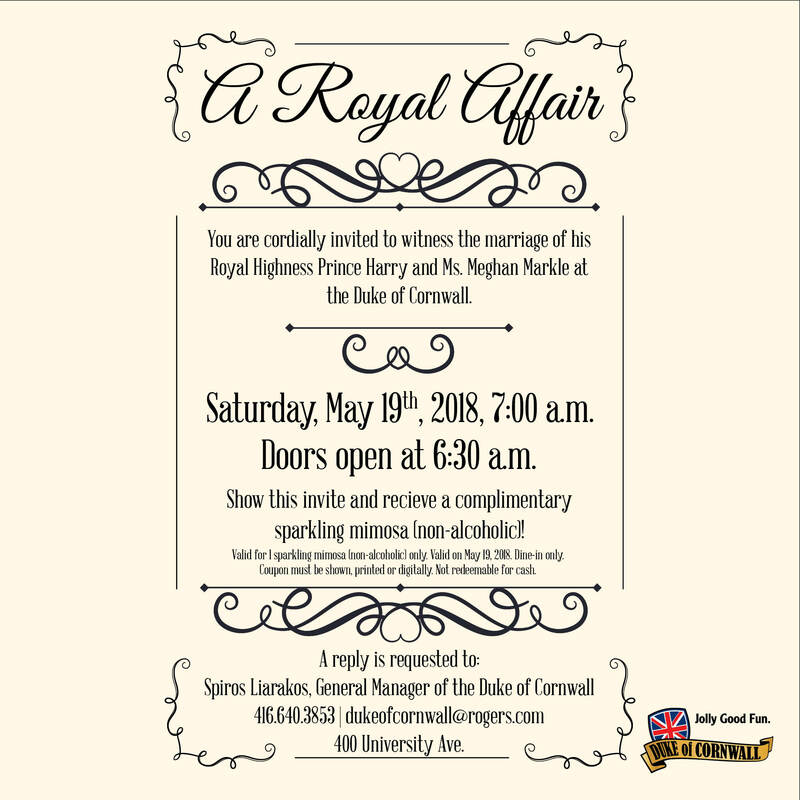 This entry was posted in Uncategorized and tagged BRITFEST Canada, brits in toronto, charlee chiappa-abibula on May 14, 2018 by britsintoronto.